Will this three-storey slice of British brutalism be the hit of the Venice Biennale? On the V&A’s section of Robin Hood Gardens, to be exhibited at the Venice Biennale. A great history of the architecture of Woolworths shopfronts in the UK. It’s amazing how often you can be walking around a town and Britain and recognise a former Woolworths just from the shape of the shopfront that remains. We have added a bit of brutalism to our living room with these fantastic brutalist coasters made by Slope Design. Each coaster represents one of four iconic British brutalist buildings. You know I love a bit of brutalism. Well here, Ben Holliday draws a comparison between civic architecture of the mid-20th century, and modern-day digital local services. Many of these buildings are now disused or in different states of disrepair. It’s an important reminder. The fact is, no matter how bold you set out to be. No matter how big or successfully your original statement of intent, eventually the roof will start to leak. Buildings, just like ideas, need maintenance. They fall into disrepair over time. I have written a few times before about the parallels I see between architecture and digital services. It’s well worth learning the lessons from the past and applying them to our own projects. Can web design really learn from brutalist architecture? 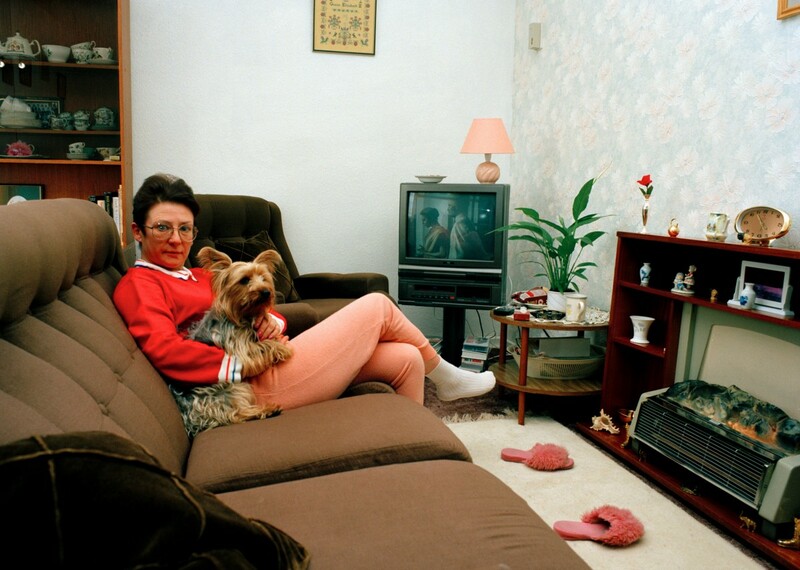 A photographic story of the final days of Lion Farm Estate, which faced demolition in the 1991 following the Margaret Thatcher government’s right to buy legislation. I was amazed — and delighted — by the V&A design museum’s decision to preserve a section of Robin Hood Gardens, the controversial social housing estate that is set to be demolished. It will be the largest section of a modern building ever to be preserved by a museum. A selection of lecture slides from John Richings James. He was chief planner of the Ministry of Housing and Local Government during the 1960s, when many of the country’s most controversial developments were constructed. When he became a lecturer, he took with him a fascinating selection of photos that show the good, bad and ugly of the brave new world while it was being developed. A radical idea for a new town — one where the roads are on all the rooftops. Absolutely stunning news that the V&A design museum has acquired a section Robin Hood Gardens for preservation. The design may be controversial and divisive, but I find it difficult to understand any argument that it is not significant and worth preserving. I stopped following architecture years ago, so I had no idea there was this renewed interest in my work until recently. I thought my buildings were a curiosity of the past that people had largely forgotten about.